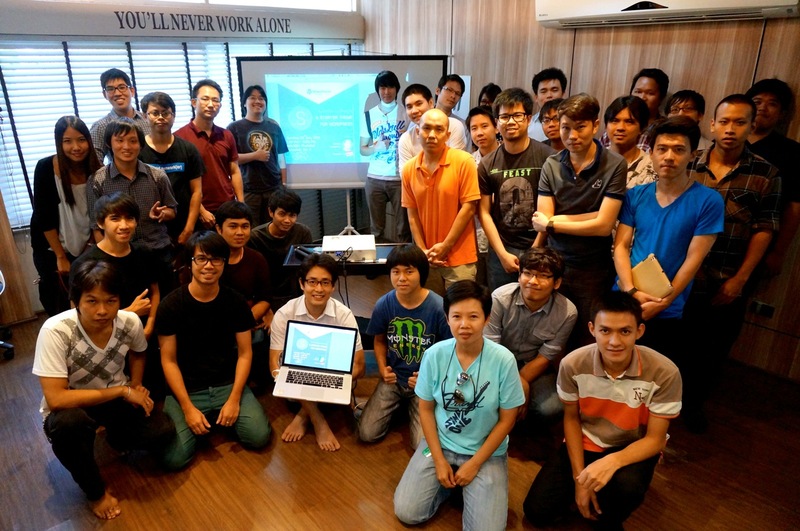 Dear students who joined the first WordPress meetup in Vientiane, Laos. It was my pleasure to get the email from Saikeo, one of the translation validator of Lao version of WordPress saying that he and the university he’d graduated would invite me to Vientiane, Laos to have a WordPress meetup. I am very happy that I could meet all of you and that we shared my experiences. 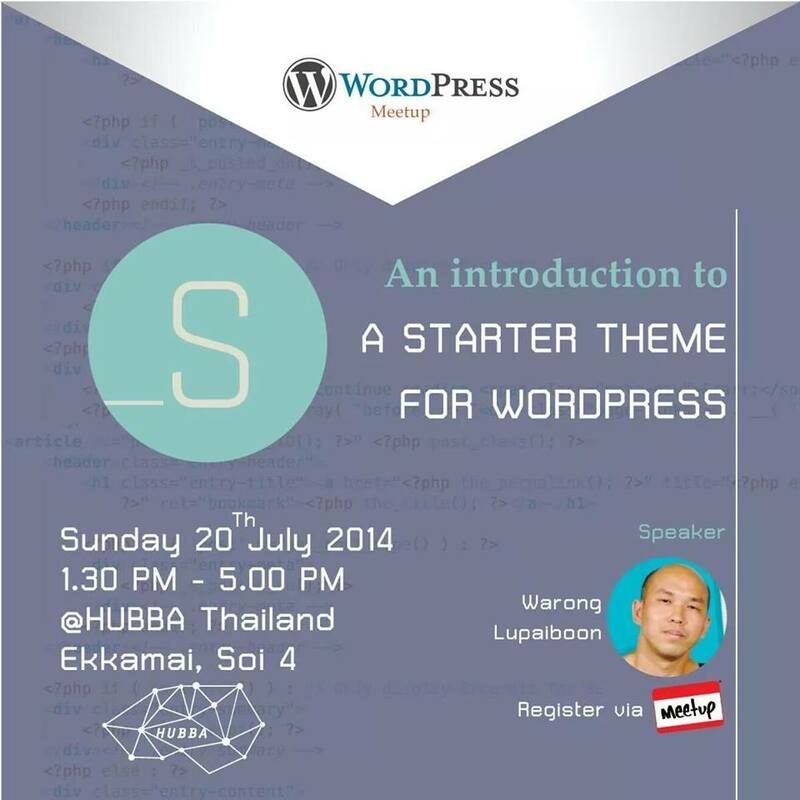 After I got the invitation, I began thinking what I should share with you in the first WordPress meetup in Laos. and it turned out to be right when I asked you in the meetup. But I did not talk anything around how-to’s or tech topics. 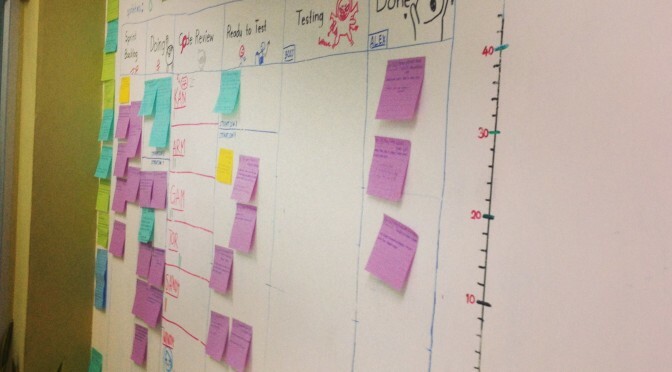 Instead, I decided to share the experience of mine and other WordPress people. WordPress has changed my and my family’s life, and I know that it did so to other people’s lives. I know WordPress can do so to your lives, too. I summarized what happened to my life after I found WordPress and brought the words by interviewing WordPress people from Asian countries who run global businesses. I thought The most helpful thing I could pass you was the hope, passion and enthusiasm to learn WordPress and build your future by yourselves. I shared the words by my WordPress friends in Asian countries. One example was by Sakin from catchthemes.com. Today, 25% of the world’s websites are in WordPress, and anyone can contribute to the ecosystem, from anywhere in the world. This sentence was of course a surprise to the students. You don’t have to be a hard-core programmer to be successful. You don’t need an academic degree. The barrier to entry is very low. This is very true, because I’m not at all a talented programmer, I have no academic degree, and WordPress community welcomed me when I was a early stage learner. All you need is lots of passion, and the willingness to learn. I want to thank Sakin, Menn (WP companies owner in Thailand), Perth (a blogger, coder/programmer and my job partner from Thailand), and Hiromichi (CEO at digitalcube from Japan) for sending me your words. After sharing the experiences of mine and others, I addressed 3 things I think are important for the you to learn if you want to follow the WP people. learning how to learn. finding the right resources. I remember the reactions you made when I said the most important thing was English. You were both surprised and a little bit disappointed. Maybe you don’t feel comfortable in learning it. From my experience, English is a really big key to open the door. And it is much more important for you, students in Laos to be able to read and speak English if we look at the amount of resources, activeness of community, and the size of market. Here, I want to suggest you again what will make your WordPress life happier. Have a meetup group and run meetups regularly. The topics can be anything. Maybe you don’t even need a topic. 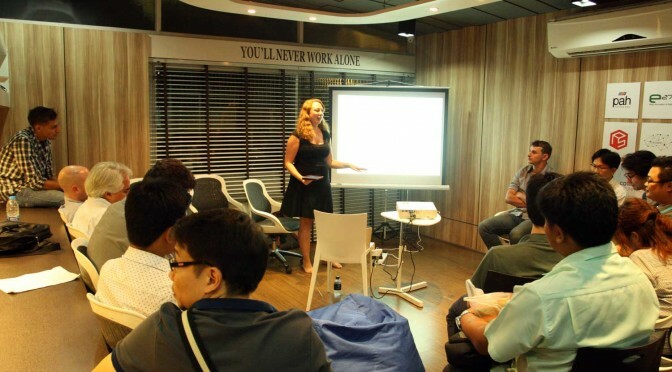 You don’t need to have a teacher at the meetup. No one need to stand on stage and speak. You can just gather and learn together, share your knowledge, google things and install WordPress. I want to ask the community people in the world to go to Laos and join meetups. Contact person can be me or Saikeo. Topics can be installing, translating, theming and so on! I could also read a little bit of the Lao language texts. Quite similar to Thai alphabets. 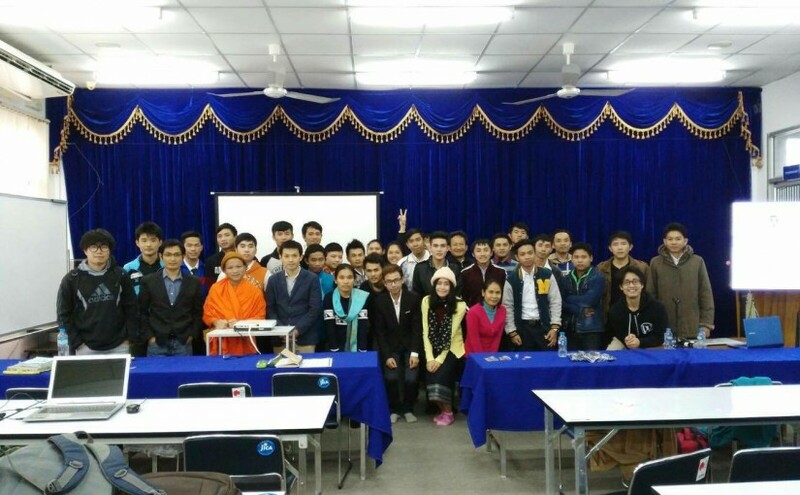 Posted on February 24, 2016 January 7, 2019 Categories days, meetups, WordPress2 Comments on Dear students who joined the first WordPress meetup in Vientiane, Laos. On remote, git repository should not be in web public area. When you init, add an option to set another place for repository files. Watch changes of all php, sass/*.scss, js/*.js and reload the browser. Getting a whole new ThemeReview environment in 1 minute using wp-cli. Every time I begin a new theme review, I need to set up a whole new environment, ideally. People seems to do reviews in same install, same database only changing the theme. After reading http://www.chipbennett.net/2011/04/20/a-guide-to-reviewing-themes-for-the-wordpress-theme-repository/ , I created this script with wp-cli commands. Generating .htaccess in step.13 requires a wp-cli.yml in your WP directory with a line apache_modules: - mod_rewrite. If you already have an .htaccess file, you don’t need to have this yml file. This is meant to be used on your local server so please don’t put it on remote servers. This is what you get when you run the script. Warning: theme-check: Plugin already installed. Warning: debogger: Plugin already installed. Warning: log-deprecated-notices: Plugin already installed. Warning: monster-widget: Plugin already installed. Warning: wordpress-importer: Plugin already installed. Warning: debug-bar: Plugin already installed. Warning: wordpress-beta-tester: Plugin already installed. -- Added terms (79,91,160) for taxonomy "post_tag"
-- Added terms (49,1) for taxonomy "category"
Success: Finished importing from ./theme-unit-test-data.xml file. Success: Switched to 'Spacious' theme. Found 37 images to regenerate. Regenerated thumbnails for "spectacles" (ID 1692). Regenerated thumbnails for "dsc20050315_145007_132" (ID 1691). Regenerated thumbnails for "dsc20050727_091048_222" (ID 616). Regenerated thumbnails for "canola2" (ID 611). Posted on October 27, 2014 January 13, 2015 Categories contributingLeave a comment on Getting a whole new ThemeReview environment in 1 minute using wp-cli. We had three sessions this time. Here’s a report post by oxygenyoyo. The title of this meetup was “How to design and create theme faster and better” and so we talked about html/css/js frameworks, starter theme and child theme. 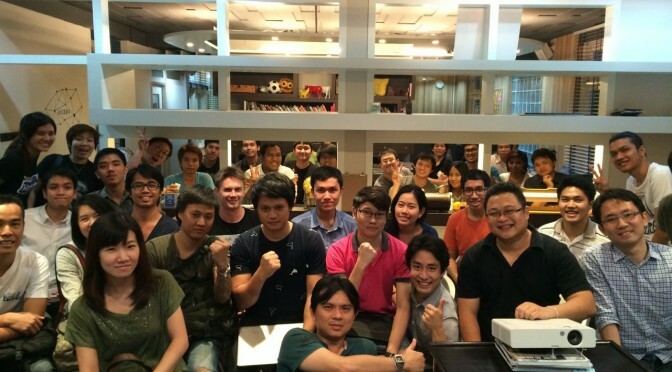 We knew that we get many audience if we have something around design as our topic, but it was more than expected. Some people couldn’t come in to the place and had to sit outside and talk there. We need to limit the registration or find a bigger place. We plan to have many different type of topics from dev/tech to design, contribution and blogging. Next one is “blogging” and might be more people. Meetup is run by volunteer community, just the way as the other meetups are and I’m really glad at the fact we can discuss and prepare together for the coming meetups. If you want to join this group, please contact me on twitter. So far, the meetup and community are growing but if I have any concern, it’s about the speakers. 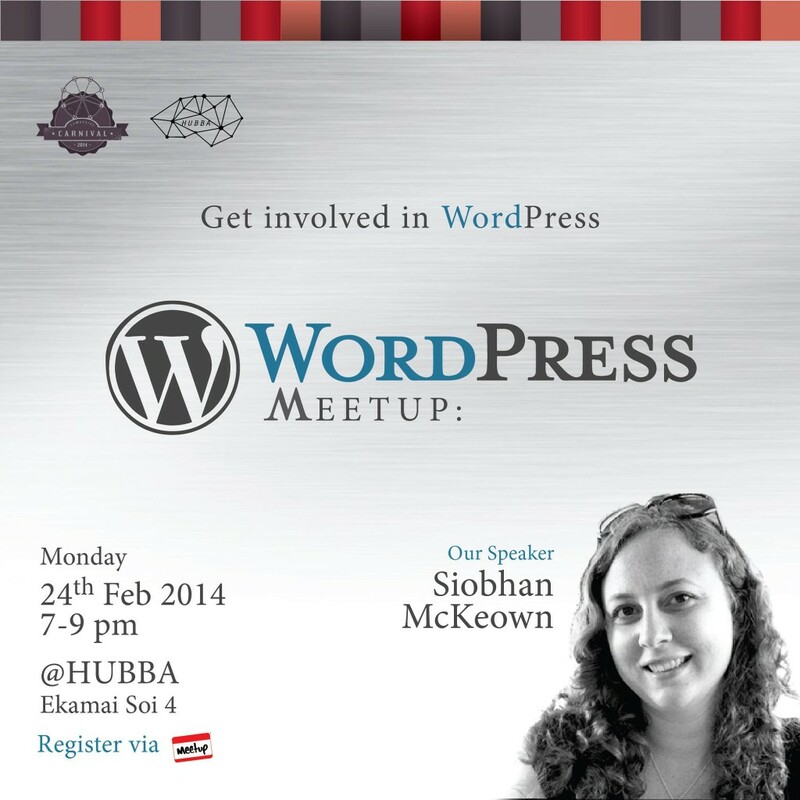 All the speakers we’ve had in the past meetups were great and I’m sure that the next blogging meetup will be great. But still, I think there are more people who can share their experience and thought. There will be more fun for themselves if they do some presentations. 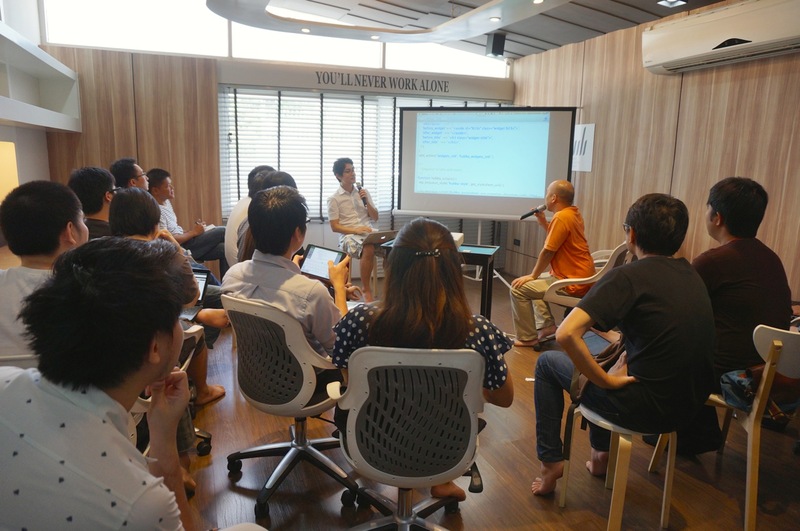 I thought there should be an easy start position to be in front of people, and at the next meetup we introduce Lightning Talk time, where people who want to do 3 to 5 minutes presentations can come and share their blogs or products. I hope this will work fine and they will be the future speakers. 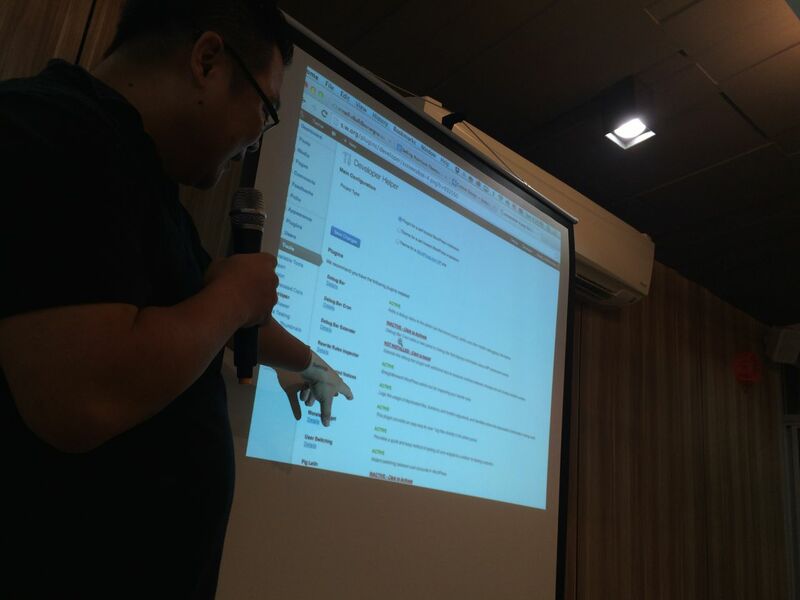 This time, we had a main session about underscores (_s) by Mr. Warong (Vai Vai Soft), and sub session about the features of WordPress 4.0 which is comming soon by Mr. Perth (Designil สอนเว็บดีไซน์ HTML5 CSS3 WordPress Web Design). 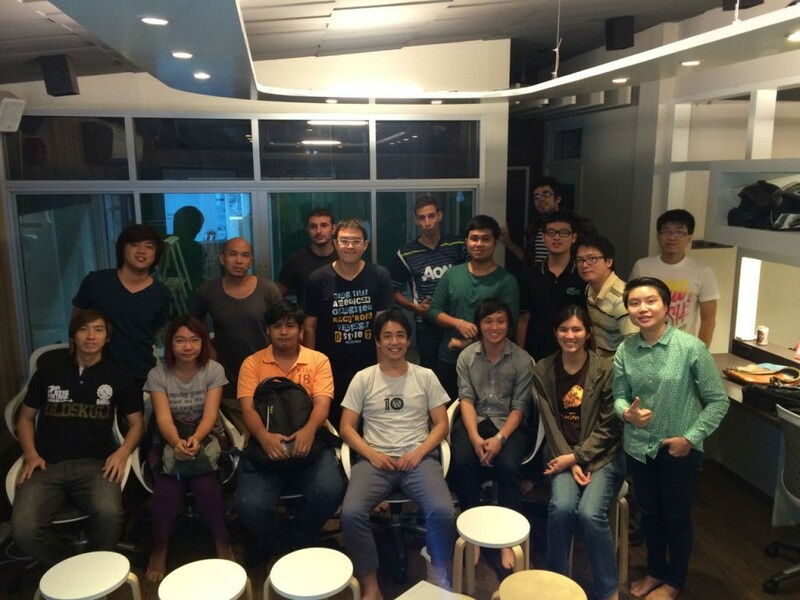 After the sessions, we talked and exchanged ideas of what to do in our coming Meetups. _s is meant to be hacked. Here’s a site he made for this session, ReabReab which is based on _s and 5 files altered. After his talk, I introduced the functions in functions.php file for the people beginning to learn WordPress theme building. Perth shared about the new features coming in WP 4.0. 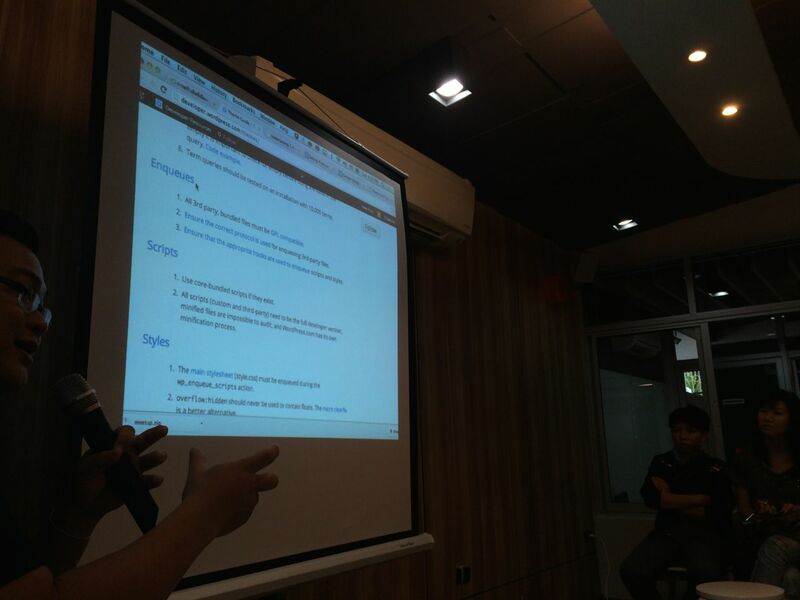 I thought introducing new features of coming version can be good contents for coming meetups. After the session, we talked what topic would be interesting for the Meetup. We agreed that we organize each meetups with specific targets such as designers, bloggers, developers and end users so that we can go deeper in each topics. 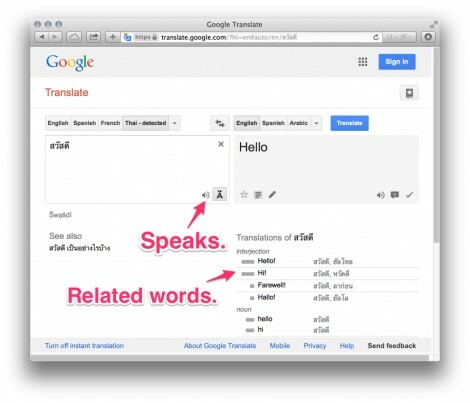 Here’s the resources I look at when I learn thai by myself. 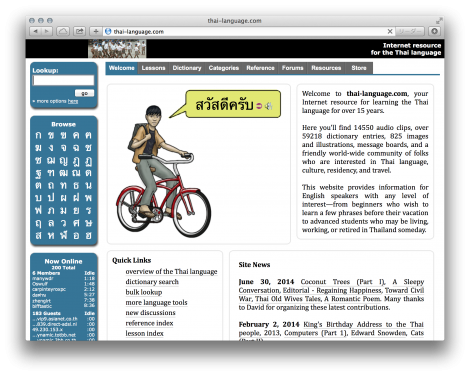 Thai-Language.com is an online Thai-English and English-Thai dictionary. It has many sample sentences. 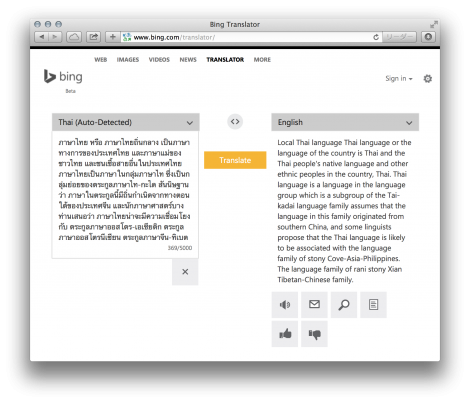 You can let the site speak out the words to check the pronunciation. It has the app, which is described below. Thai-English Dictionary from thai-language.com on the App Store on iTunes is an app version of thai-language.com and it’s much easier to user than the original website. I’ve tried other dictionary apps but it seems good for me. It contains many many example sentences done by the original website. Links to similar words, example sentences and other expressions. It shows you the components of a word if the word you looking at is a combination of some words. Google Translate has advantages like below. You can listen to the pronunciation. You get not only one translation but other possible words too. Bing Translator seems that has the better ability to translate correctly when it’s a long sentence. 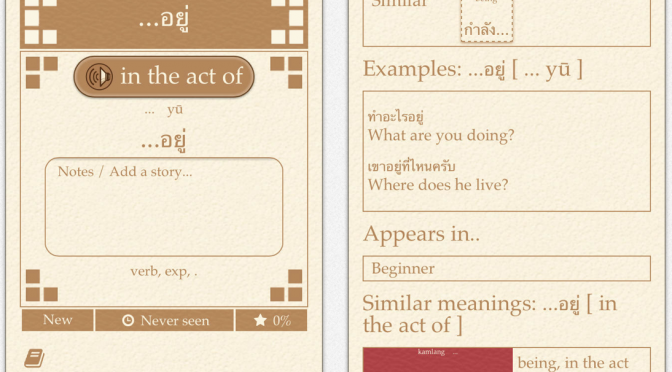 Scribe Thai is not a flash card app you can create by your own, you learn the words set by the app. 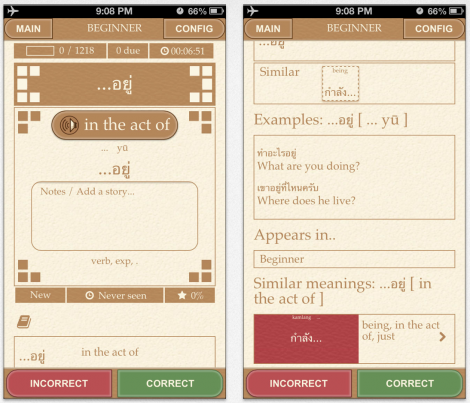 With this app, you learn Thai words by words like a game. Every time you see a word, you choose “Correct” or “Incorrect” and the app records it to optimize what to show you in the future. It seems to have very good algorithm in it and you can learn words efficiently. The bad thing about this app is that it contains some words that native Thai people don’t use much. I haven’t found the best one which you can listen to for free. For me, it’s ok to pay to good program but they often contain too much contents and too expensive. I sometimes listen to these 3 podcasts. Here’s some links to the movies that was recommended by my Thai teacher. I watch first with no English subtitles and with for the second time. 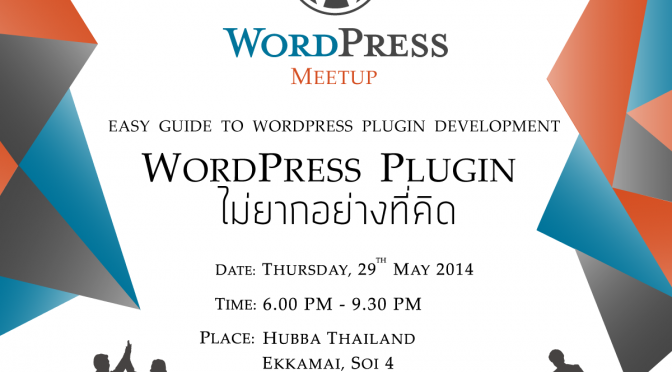 Like the last time, we had another WordPress meetup in Thai language. 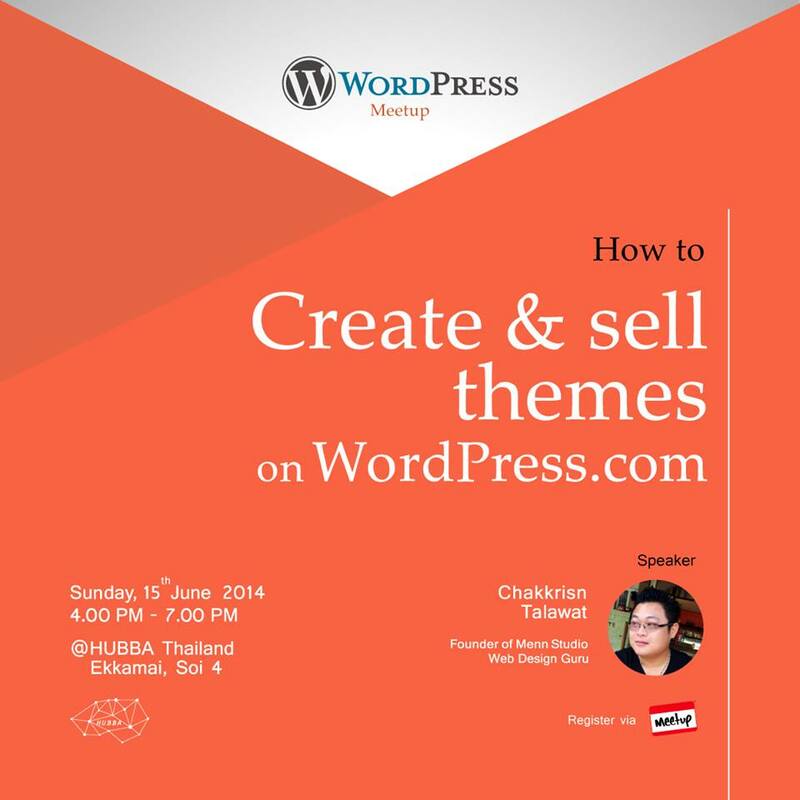 The session title was “How to create a theme to sell on WordPress.com” and was about the things below. 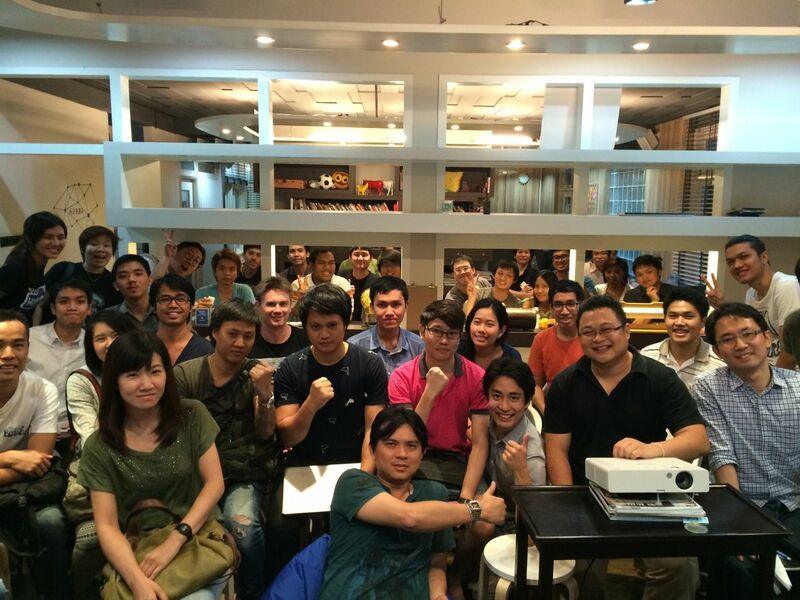 After the main session, I had a little talk in Thai about the WP communities in Japan. 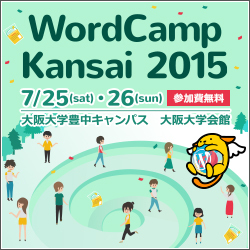 I talked about WordBench and people’s help and volunteer spirits and asked for help to organize the future meetups. 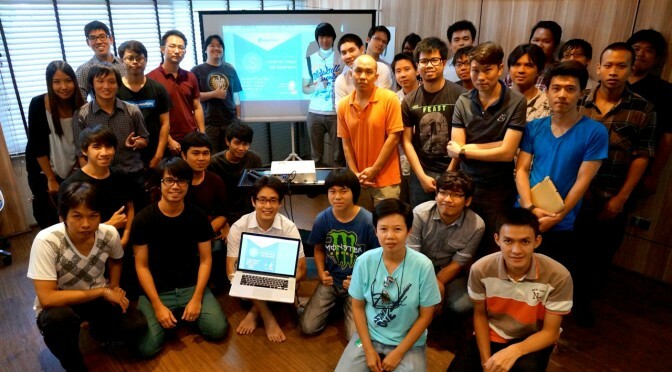 Now we have a team of 20 Thai people to organize the meetups. 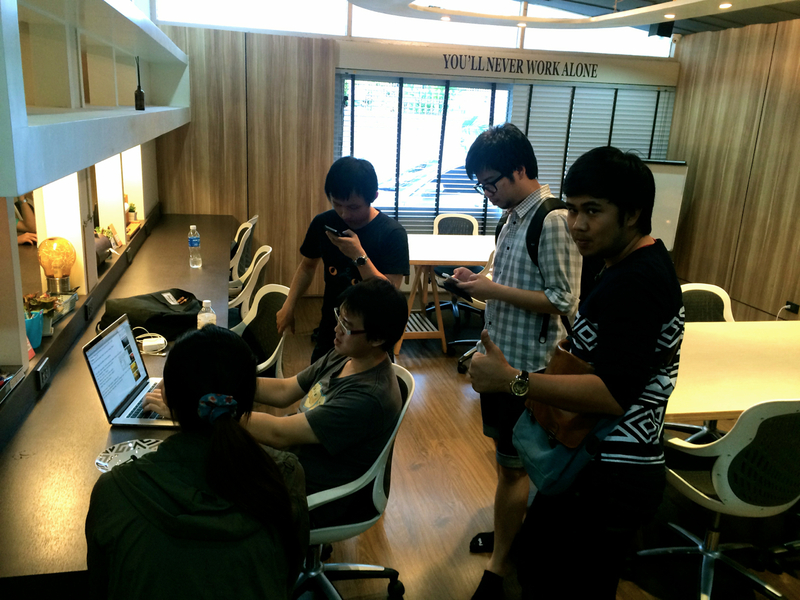 We are now exchanging ideas of the future meetups. I wish they will be the future leaders and there will be more events and community. I hope I can bring something similar to what I got at the community in Japan. Looking a short look at WordPress.com and see how similar/different it is from .org and. Mr. Menn talked about almost all the criteria a theme need to fulfill. The community grows slowly and nicely! 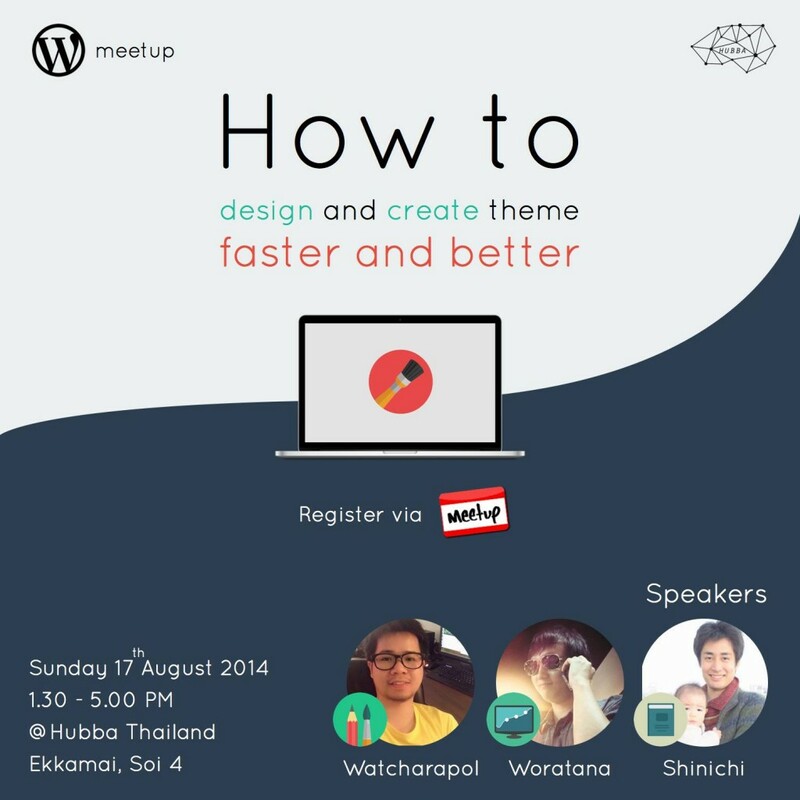 From this event, we began to organize event in Thai language so that more people can join to WordPress community in Thailand. This time the speaker was me and I talked a little bit in Thai and rest in English. Bow helped me with translation. By changing the main language, I could see many different people in this country while we lost some who don’t speak Thai. There are people who are willing to have some in English like Julien from N2Clic and I think we need to make some effort to combine them or devide them? Let’s see what happens when I’ve done more events here. Anyway, it was very nice that we had more people who were interested in developing things with WordPress and I could share the basic of creating plugins. 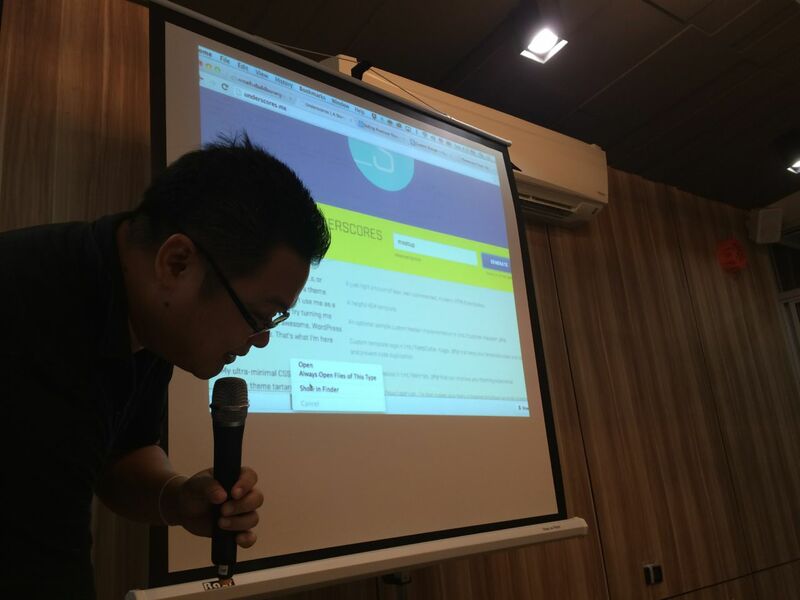 I joined to the second Bangkok WordPress Meet-up. 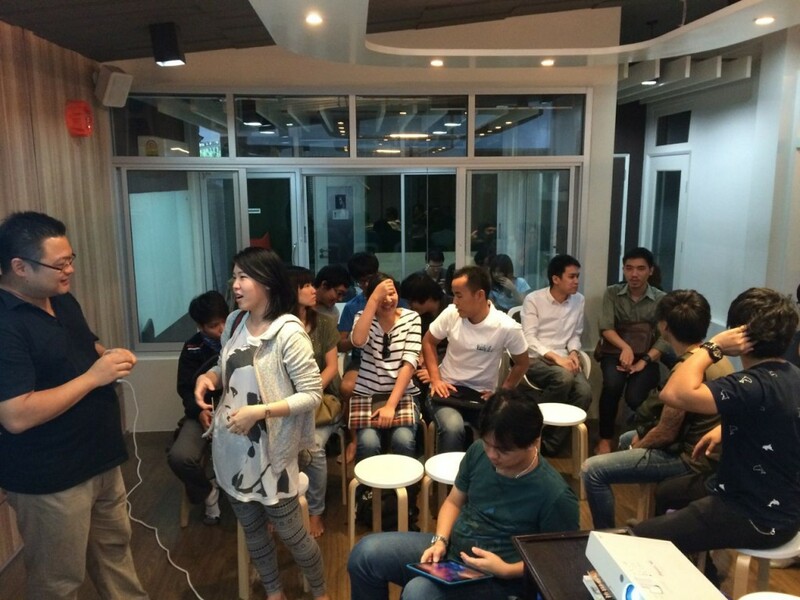 The topic was more about business model than tech, and the guests were 2 co-founder of Pronto Marketing. Pronto Marketing is a company with 70+ employees based in Bangkok which offers website/marketing solutions for small business owners in US, Canada and other English speaking countries. For clients, they create really nice design websites, write everything, mail customers’ customers, host WordPress and keep it always updated and more. Shortly, they do almost everything that a small business would need for their websites and give the clients time to concentrate on their own business. They charge basically $247 per month. Here’s a video which is good to know what they do. 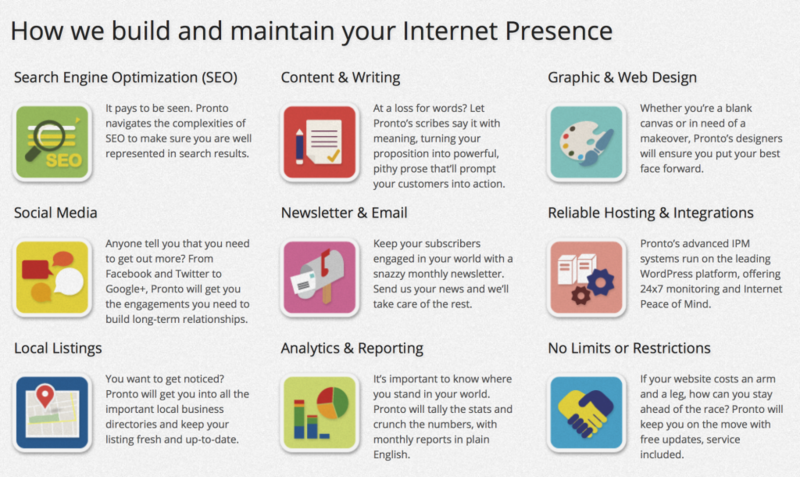 List of what Pronto Marketing does for their clients. The other day, I talked with Jon Brown from Hawaii about business model WordPress people can have and he showed me an interesting blog post “In Defense of Consulting Businesses – Bill Erickson“. Designed by Piti, a wonderful designer! The organizers were 2 Juliens from N2Clic Ltd. and we got big help from Hubba, the venue of the meet-up. Here are other resources about her. Read WordPress › Make WordPress Core « WordPress Development Updates and find something interesting. WordPress › Make WordPress UI « A Better User Experience is good for designers and for those who want to contribute through using new features and report things. iOS/Android/BlackBerry App developers, WordPress › Make WordPress Mobile is waiting for you. WordPress › Make WordPress Accessible « Equal Access For All, which I heard of for the first time is also important. 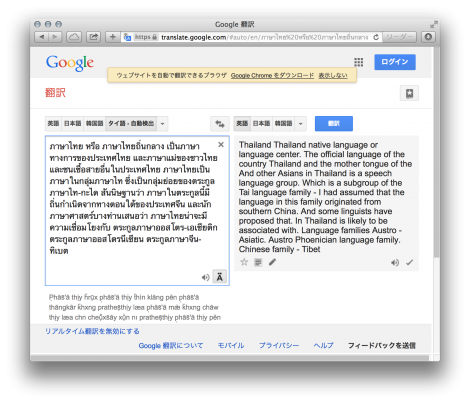 Translating WordPress to your language is one of the way you can get involved even if you’re not a programmer. Documentation will help many people. Codex is something people including me are always looking at. Handbooks are the new documentations. There are two kinds of handbooks, for Developers and for Contributors. Inline Documentations are docs in the core files. It’s a nice way of getting involved for you who understand code if you read, but maybe it’s difficult to write patches with codes. Inline documentations will not only be just inside the core files but also will be extracted from core to new website. Somebody wants to turn wordpress.org web site into responsive? And off course the core. 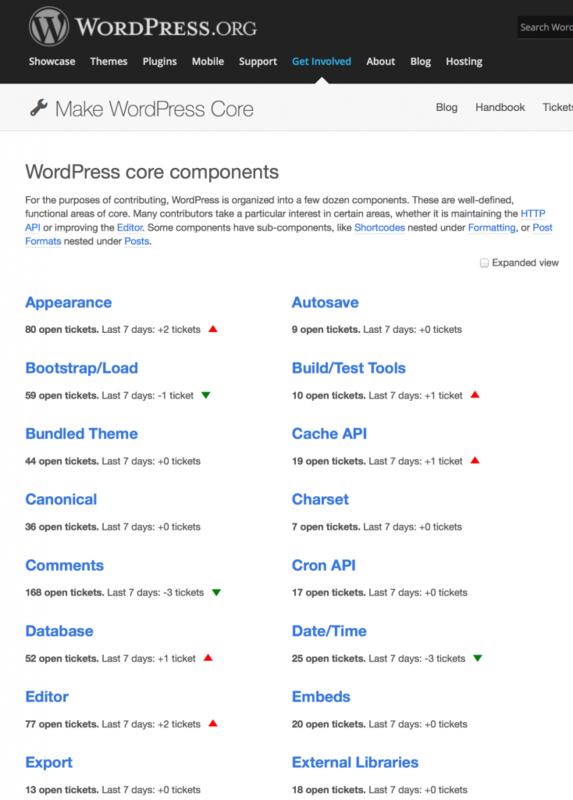 It maybe fun to look at WordPress core components because there you can choose topic you want to try. It’s also nice to see Bug Reports « Make WordPress Core. 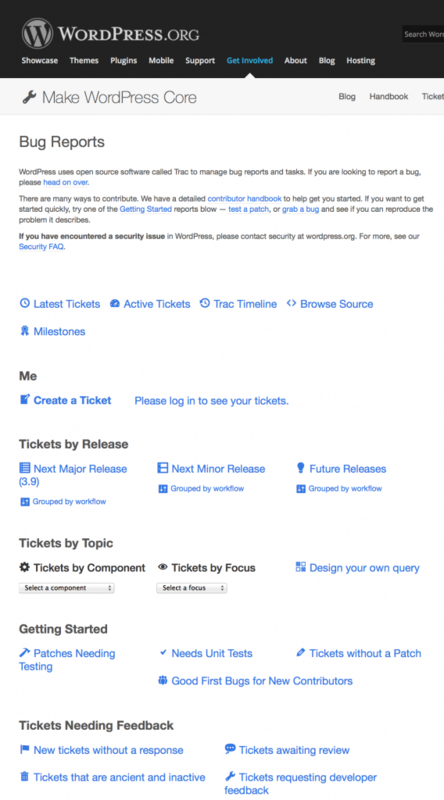 They have links to tickets which “Needs patch, but has none”, “Has Patch and Needs Testing ” and so on. And here are 2 more links which are good for new contributors and designers. Components list of core development going on. 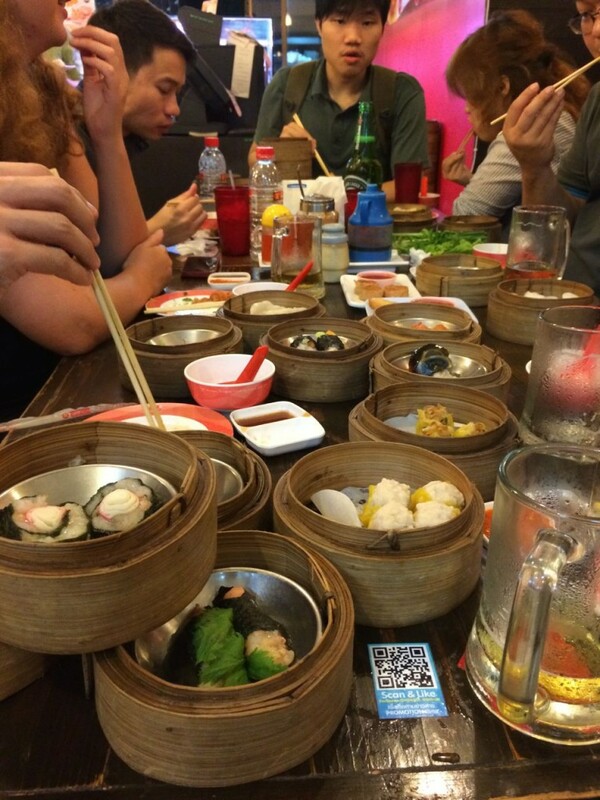 We went to eat dim sum after the talk and it was a nice night. Can’t wait for the next time!